Without a major breakthrough in finding a drug treatment for dementia, the disease will “move from a major health challenge to a global economic crisis,” a report warns. A report, compiled by the Dementia Forum of the World Innovation Summit for Health (WISH), warned that a “history of failures” has created “funding fatigue” among donors and pharmaceutical companies. Between 2009 and 2014, major drug companies halved the number of research programs into central nervous system disorders, a category which includes dementia, the report reveals. Pharmaceutical giants including Pfizer and Eli Lilly have seen projects for potential Alzheimer’s drugs fail in recent years, costing hundreds of millions of dollars. There have been no new treatments for dementia licensed in the UK for 12 years. 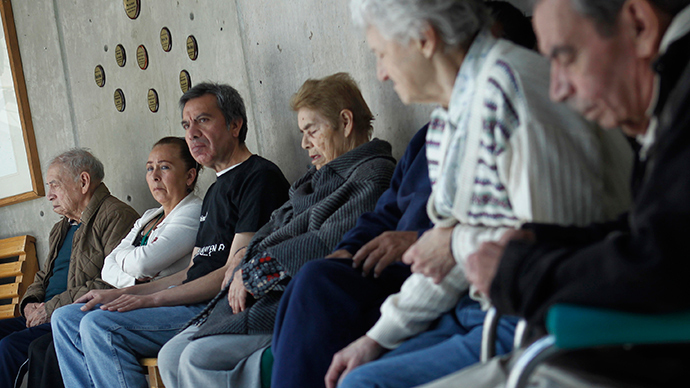 There are currently 44 million people worldwide living with dementia. That number is expected to rise to 135 million by 2050, when the cost of care is anticipated to exceed $1 trillion (£652 billion) – in the US alone. Meanwhile, a new multimillion pound research center dedicated to developing dementia treatments opened at Cambridge University earlier this week. The institute is one of three funded by the charity Alzheimer’s Research UK, which is setting up a £30 million trio of new drug discovery institutes at Oxford and Cambridge universities and University College London. Simon Lovestone, scientific leader at the Oxford institute, said the UK approach to the study of complex molecular processes that damage the brain as Alzheimer’s manifests in patients is expected to be more effective than failed drug trials by the pharmaceutical industry. The best existing treatments can delay symptoms of cognitive deterioration for six to eight months in some patients, he said. Dementia affects more than 800,000 people in the UK and costs the UK economy £23 billion a year. A study by Alzheimer’s Research UK also revealed that women are bearing the brunt of the dementia epidemic. It found more than 500,000 women are currently affected by dementia, while around 350,000 men have the condition. Women over 60 are now twice as likely to get dementia as breast cancer.